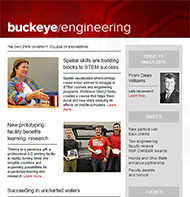 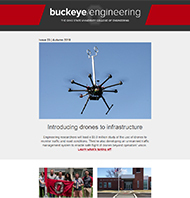 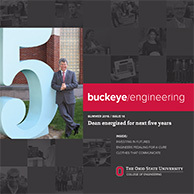 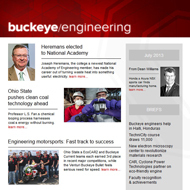 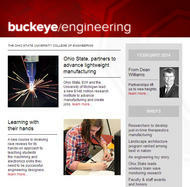 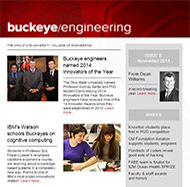 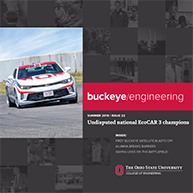 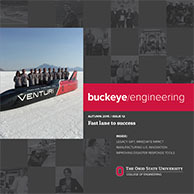 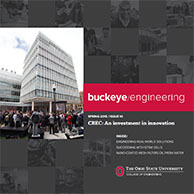 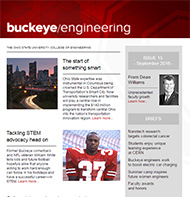 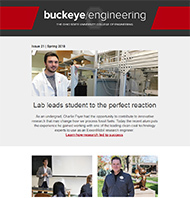 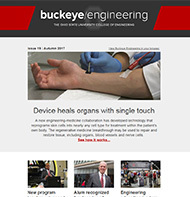 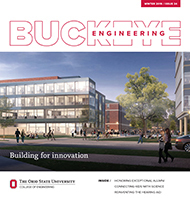 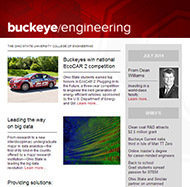 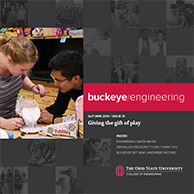 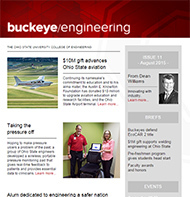 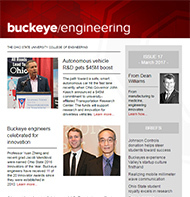 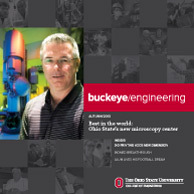 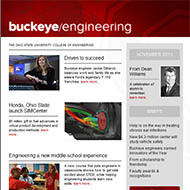 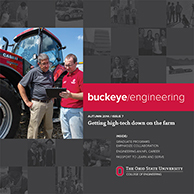 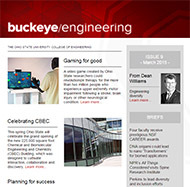 Buckeye Engineering is The Ohio State University College of Engineering’s news vehicle, communicating exciting developments and accomplishments in a timely fashion. 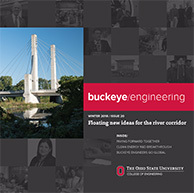 It is published four times per year, with two electronic and two print issues. 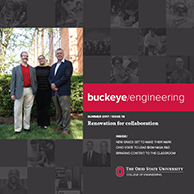 If you would like to be added to the email and print distribution lists please send your contact information to clevenger.87@osu.edu.